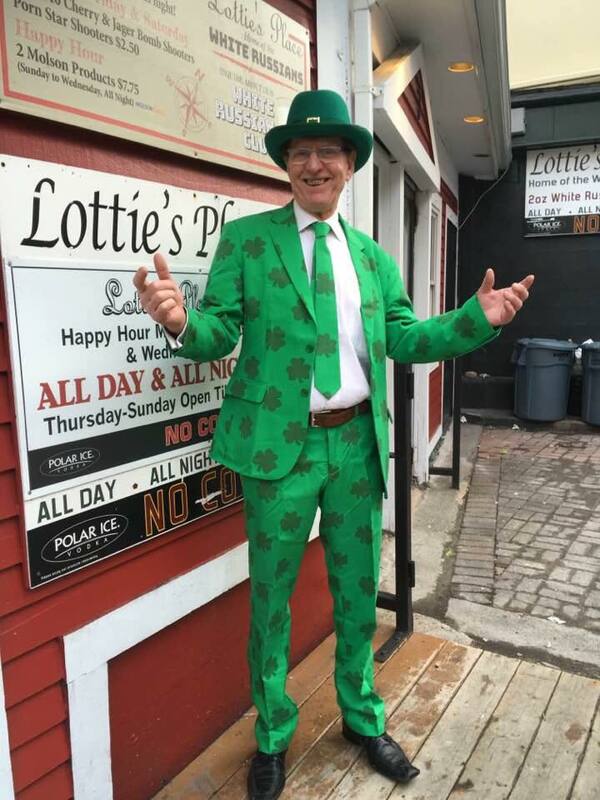 There is a good chance that if you have ever had a night out on George Street you have at least done a walkthrough at Lottie’s Place. The bar, which was opened in 1994 by Doug and Charlotte (Lottie) Dooley has been a staple on “the biggest little street in North America” for nearly a quarter century. The Racket communicated with Lottie’s owner Doug Dooley about the bar’s history and unique characteristics that keep customers returning. There is something magical about Lottie’s. Maybe it has something to do with the fact that the bar looks like it hasn’t been updated since the 90’s, maybe it is the famous White Russians, maybe it’s the nostalgic music, or maybe it’s a combination of the three mixed with the friends you go there with at any given time. Either way, Lottie’s is a place unlike any other on George Street. There have been a number of changes since the Dooleys opened Lottie’s. At the time, Doug was still working for the Canadian Coast Guard. The bar became Charlotte’s focus and was only about half the size that it currently is. Doug was the original DJ playing music on tapes, before moving to CDs. “We now have a DJ on the weekends and have had several over the years including the late Big Tom from K-Rock and DJ Rocket Boy Darrell Downey,” said Doug. Adam King has been in charge of the music at Lottie’s for the past four years. People definitely come to Lottie’s for the free cover and cheap drinks, often passing through as a primer on their way to another spot, but if they stay, it is because of the music. Lottie’s has an interesting vibe as it isn’t the most modern looking, the bathrooms aren’t always the most inviting and there was even an old running joke back in my university days that the floor could collapse at any given time because of the dancing but that is all part of the magic. You don’t really dance at Lottie’s so much, as you belt out anthems and sort of move as if you are performing actions to the songs though. You walk in, grab a White Russian, hang your coat up in the window bars let loose and let the magic happen. King called Lottie’s “an old-school bar with a mixture of everything”. You can’t go to Lottie’s without hearing classics like Bryan Adams’ “Summer of ‘69”, Journey’s “Don’t Stop Believing”, Whitney Houston’s “I Wanna Dance With Somebody”, Madonna’s “Like a Prayer”, Billy Idol’s “Mony Mony”, Spice Girl’s “Wannabe”, The Backstreet Boys’ “Everybody (Backstreet’s Back)”, The Killers’ “Mr. Brightside” or Beyoncé and JAY-Z’s “Crazy in Love”. “Almost all of the songs I play are off the top of my head, along with requests,” said King. “I’ll play almost every request asked; unless it’s a song that’s really out there.” He said he tries to include popular songs from the 70’s, 80’s, and a lot from the 90’s and 2000’s, along with some current hits sprinkled in. “Like I said, I won’t turn down a request, unless it’s 12 AM, the club is packed and someone wants to hear the Celine Dion song from Titanic,” said King. (We suspect that statement may come with its own story associated but we can confirm the DJs at Lottie’s will play any request including U2’s “Elevation” when you say it’s your birthday, Britney Spears’ “My Prerogative” when you say it’s your friend’s birthday, and Beyoncés “Formation” when you just want to have a badass song to dance to). 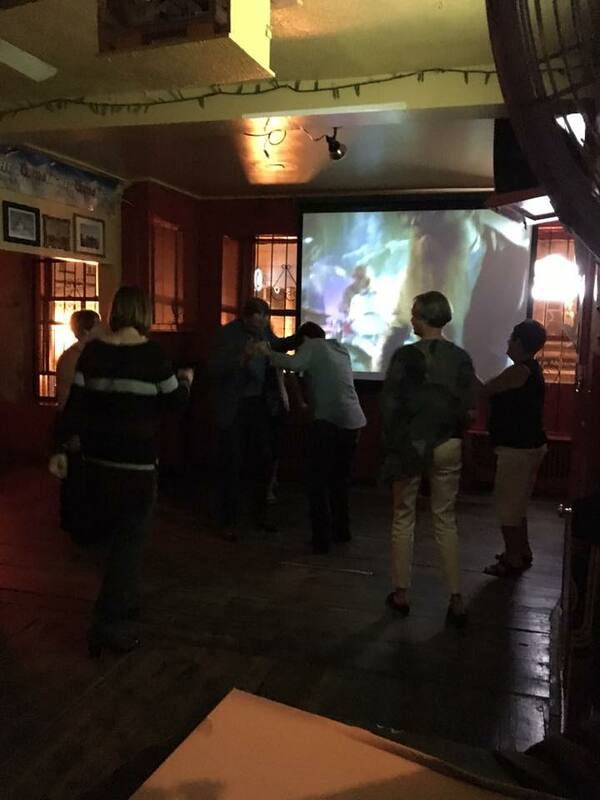 Aside from providing a space to “dance your face off” to your favourite songs that came out years before you were of legal drinking age, Lottie’s hosts a dart league on Monday nights during the fall and spring seasons. Their St. Patrick’s Day dart tournament is also a popular event that the Dooleys enjoy putting off. Next year, Lottie’s Place will be celebrating twenty-five years of business and according to Doug; they are “look[ing] forward to having a huge birthday bash.” Stay tuned to their Facebook page for details.